Having removed tons of abandoned fishing gear throughout southern California over the last 11 years, Ocean Defenders Alliance (ODA) recently launched Operation Deep Sweep, which represents an exciting new phase for us. The Channel Islands are a chain of eight islands located off the coast of Ventura, California that received National Marine Sanctuary (NMS) status in 1980. ODA applied for, and was granted, a permit that allows us to go into this protected area and remove any hazardous man-made debris we find. 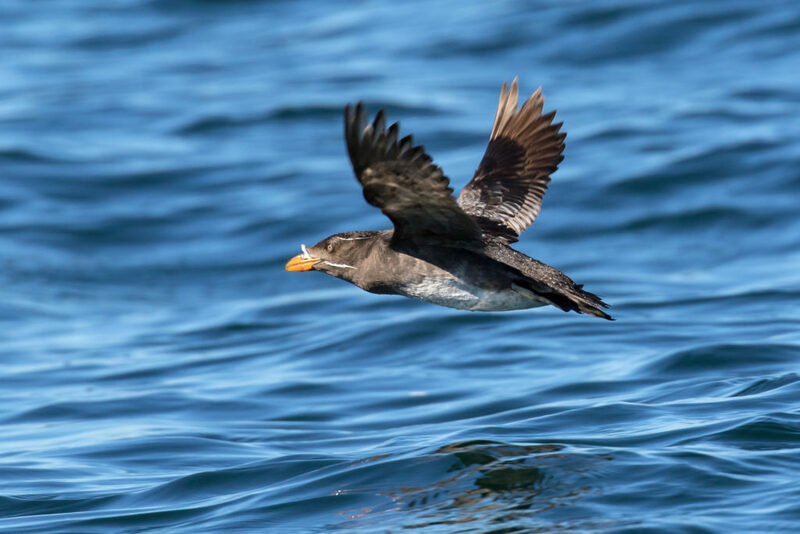 These sanctuaries have been designated by the federal government to have historic, cultural, and environmental significance, and as such are afforded protections from overfishing, gas and oil development, and pollution…but they do allow limited fishing. NMS protections cover all waters around the islands out to six miles from their shores. Inside some of these sanctuaries are Marine Protected Areas (MPAs), 13 in total, varying in size (up to three miles out from shore in the case of Anacapa Island). The MPAs were established by the state of California, are run and maintained by the state, and provide additional protection beyond federal sanctuary requirements. An example of the additional state protections includes the fact that these MPAs have additional stringent fishing restrictions. Eleven of these MPAs are “no take” zones, while two allow for the take of lobsters and pelagic fish. On September 7th, the very next day after we got the boats moved up to Oxnard, we began Operation Deep Sweep with an excursion out to Anacapa Island. This is a small island located approximately nine miles from the mainland. I first scuba-dived the waters of this island 32 years ago. My memories are of lush kelp beds all around the island. Sea lions were the dominant marine mammal, and the fish populations were eye opening. Back then, it was like entering your own secret aquarium. Fast-forward 32 years: the kelp is mostly gone and with it the massive fish populations. Now the bottom is absolutely covered in brittle stars. From a distance it looks like shag carpeting from the ‘70’s—remember that stuff? Well, I do. Only this has moving arms. Millions and millions of these small starfish abound. 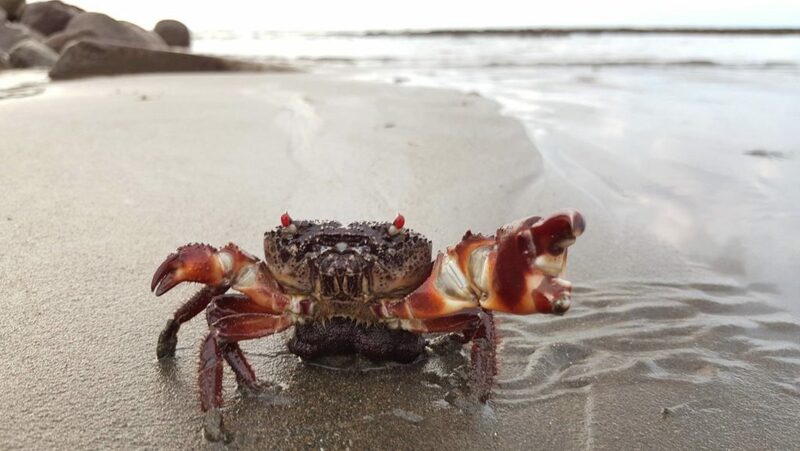 Their body is about the size of a quarter, with six legs that stick out about two inches into the water column, straining to catch a passing morsel. No one seems to know what happened to cause this explosion in the brittle star population. But when you dive in the MPA (a “no take” zone) around the same island, you’ll see healthy, dense kelp beds with hardly any brittle stars. Within all the kelp are great numbers of fish and invertebrates! Here you’ll find male sheephead fish, gorgeous and enormous, as well as very large lobsters. I’m talking the size of a Labrador retriever…well maybe more like a beagle, but certainly a LOT bigger than they are in non-protected areas. 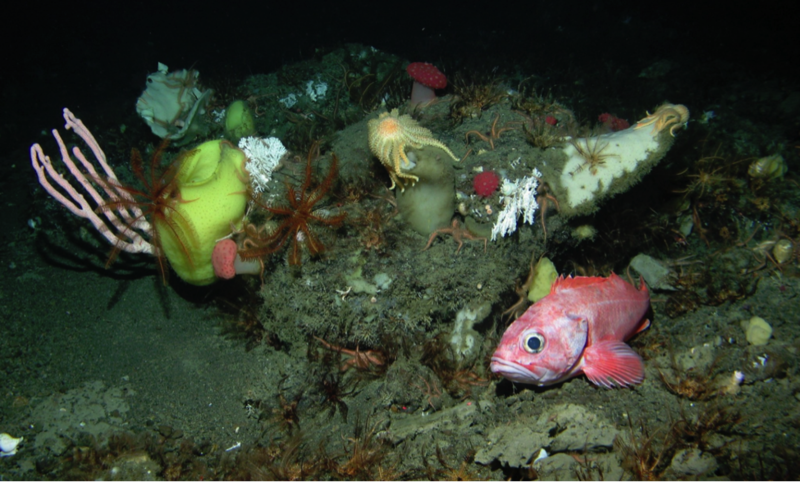 Sheephead and lobsters play a crucial role in maintaining healthy kelp forests. They are two of the few urchin predators still in existence. If left to their own devices, urchins will feast on the kelp anchor points until the plant can no longer maintain its grip on whatever substrate it is using to anchor itself to the sea floor. When that happens, the entire kelp plant will float to the surface, drift away into oblivion, and die. Then we are left with “urchin barrens,” where they become the dominant species and almost no fish exist. Scientists who have studied the life history of kelp plants estimate that there are at least 800 species of animals that spend all or part of their lives in these vital habitats. These include: fish, crustaceans, and marine mammals. Even the great gray whales will spend time resting in these forest-like areas on their annual, 7,000 mile long, migration from Alaska to Baja Mexico. Where, you might ask, does ODA fit into this picture? …I thought you’d never ask! Within these kelp forests are lobsters, and every October thru March, thousands of traps are set to catch them. The traps have a line attached to them that has a buoy on one end. This buoy has an identifying number on it that lets you know at a glance who owns it. The line is made out of polypropylene, which presents two problems for our friends that call the ocean home. Polypropylene is lighter than water, and so, it floats in the water column. 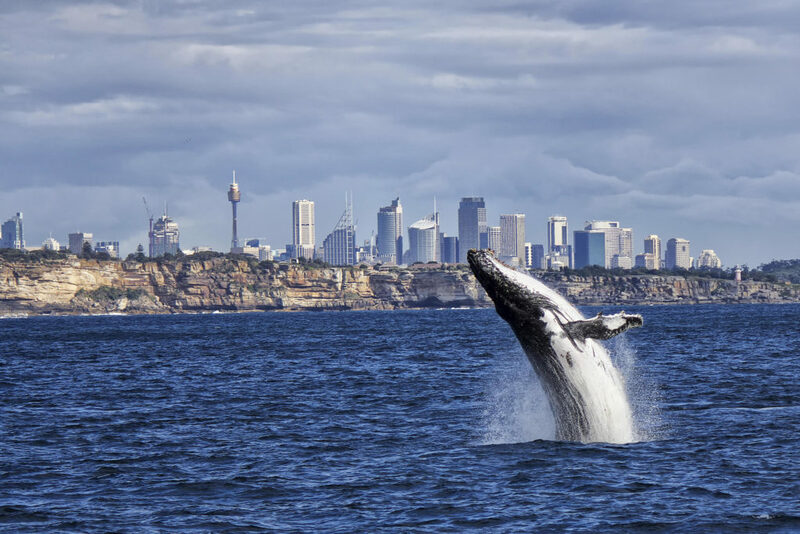 First: if a whale or a dolphin happens to swim near it, their fins or tail flukes can become entangled in the line and in some cases the animal will drown. Second: because polypropylene is petroleum based, it has many toxic chemicals in it. When this line comes in direct contact with benthic life that can’t move, like a gorgonian, the chemicals leech into the animal and it can die from the toxicity. This is in addition to the lines’ gradual decay and release of toxins into ocean waters. With so many traps set every year, inevitably, some buoys become detached from the lines. When this happens the fisherman has no way of finding the trap, and the line will float in the water until it becomes so loaded down with encrusting organisms that it sinks to the sea floor. Now you have an abandoned trap with the potential to catch animals, and a line that is meandering all over the bottom until it gets caught on some helpless benthic organism. ODA is on a mission to end this ghost gear madness! We enlist volunteer divers to locate and remove traps and nets that are lost at sea. A recent scientific study estimates that 640,000 tons of fishing gear is lost every year. EVERY YEAR! ODA is a small but mighty nonprofit, and we have many dedicated scuba divers and boat deckhands who have helped us remove about 22 tons of marine debris—most of it straight from the ocean floor—since 2004. I’ve been scuba diving since 1976, and have seen firsthand the complete collapse of our underwater world. It has been well documented, and the numbers of what we’ve lost are staggering. Or more accurately stated: it is not what humanity lost…but what we have taken, eaten, and thrown away. Ninety percent of all large fish are gone, along with dangerously high numbers of whales, sharks, swordfish, marlin, and turtles. These animals don’t even make up the vast majority of life underwater on the ocean floor; those are all the organisms that we call “benthic life.” These bottom-dwelling plants and animals have evolved over eons to eke out a living on the ocean floor are actually food for all the wonderful fish we love to see. They also provide protective habitat for all juvenile fish to hide in and find food as they grow up to be a 1,000 pound swordfish, a 1,500 pound bluefin tuna, a black sea bass, or a magnificent marlin. 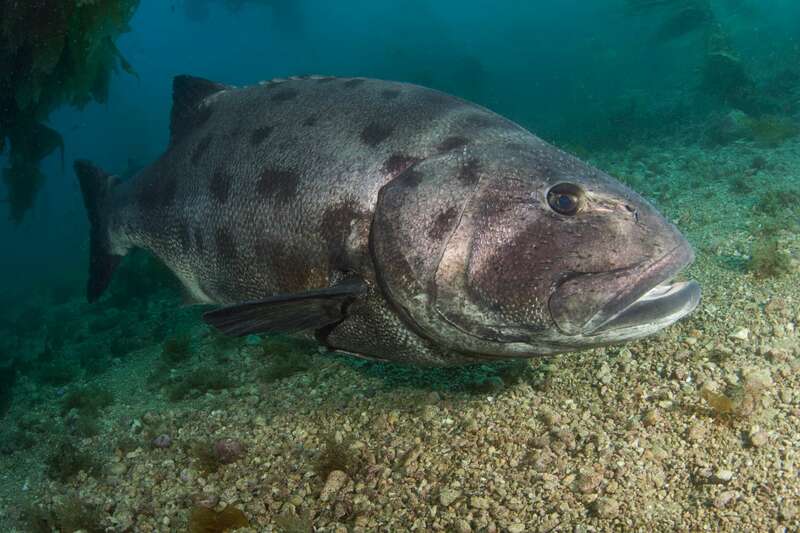 The black sea bass can reach over seven-feet long and weigh in excess of 700 lbs. Unfortunately, over the last century they were relentlessly hunted to near extinction. Thankfully, in 1982 a law was enacted to make it illegal to hunt or kill them, and they have since been making a slow but steady comeback. On three recent dives at Anacapa Island, our volunteers saw a dozen of these large fish, twice inside the MPA. That is a prime example of why it is imperative that we set aside more areas of our oceans as “no take” or limited take zones. Sylvia Earle and all of you who support Mission Blue are on the right track with the ambition to create “Hope Spots.” We here at ODA are behind this 100%, and not just for the sake of the animals: humans also will NOT survive without healthy oceans. Since the birth of the steam engine in the 1800’s, we have taken our deadly technology to sea. Trawlers drag their weighted nets along the bottom and turn what was a varied and high-relief habitat, into a flattened mud bank. Not only do these trawlers kill all the animals that get in the way of the trawl, they completely obliterate the landscape. Some areas of the North Sea get plowed three times a year! This means that whatever life forms were there before will never be afforded the time to repopulate. This technique opens the door for invasive species to take over. That is why it is so important for us to set aside parts of the sea that will never see a trawl net, never witness a driftnet, and never have to suffer the legacy of an abandoned net. The nets fishermen use today are made out of some form of plastic, mostly nylon. Scientists are estimating that if/when lost, the nets will last 650 years before they break down into smaller pieces of plastic. …and that is IF this “ghost debris” even sees sunlight. Without exposure to light, it will degrade a great deal more slowly. Another report estimates that a single plastic bag down in the ocean and below the reach of the sun will last at least 1,000 years. It is a sad legacy we are leaving for the mighty sperm whales that can dive down to 10,000 feet in search of their favorite prey: squid. Those same plastic bags look a lot like squid to these whales, some of which have been found dead with 200 pounds of plastic in their stomachs. 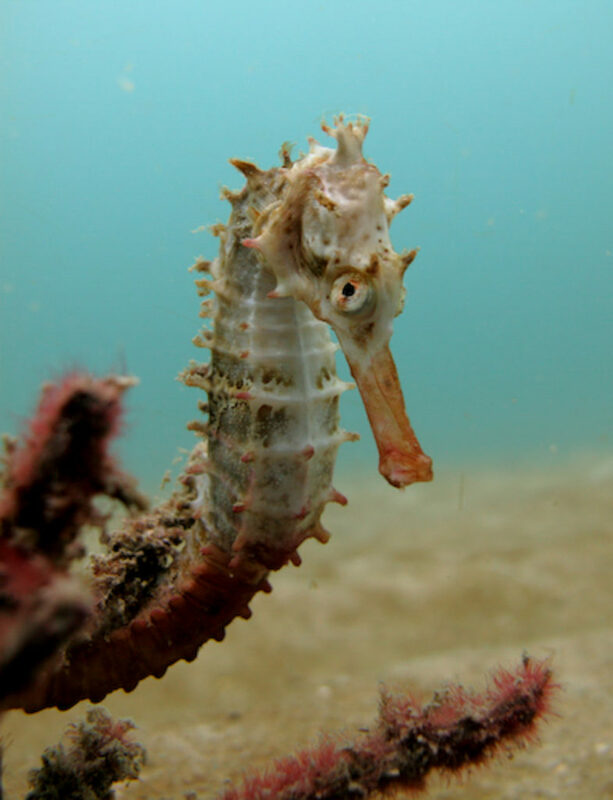 With so much gear being lost and abandoned throughout the world, it is very important to get it out of the water—and not just because it can kill marine life for decades. When a species is removed from an ecosystem, a void is created that allows opportunistic species such as jellyfish to expand. Give them an opening and they will colonize an area before any other native wildlife can become established. In regard to their ability to repopulate and take over an area, jellyfish have been compared to weeds! The future of life in the oceans looks dire enough for marine wildlife, but the many man-made objects out there are accelerating the impact and death, and hastening the collapse of entire ocean ecosystems. All the piers, underwater cables, oil rigs, plastic debris, wind farms, artificial reefs, and boats provide fresh, new structures for invasive species to capitalize on. I propose that the least we can do to minimize our impact is to remove as much debris as humanly possible. I encourage all of you to do what you can to help. Go to your local beach, lake, or river and gather/remove all the man-made junk you can. Hopefully, you can recycle what you find, but even a landfill is a far better place for our trash than our oceans. We owe it to ourselves, to our friends that call ocean home, and to our own future generations. Our oceans are dying at an exponential rate of collapse in much the same way that our entire ecosystem is collapsing. These are the ” Good old days”. I am more grateful to you all then words can say I hope that more and more people become aware of your fantastic work and support it.I have proposed that fihing nets and gear be marked with data dots so that those who abandon gear can be fined and those funds used to aid in the repair.I have also proposed that the nets be the licensed thing rather than the boats that way if you needed to replace your net you would have to return a substantial amount of the old one.We put licenses on cars so that their owners can be traced why not these items which devastate the commons of our oceans.